In the late 1840s, more than one million Irish men and women died of starvation and disease, and a further two million emigrated in one of the worst European sustenance crises of modern times. Yet a general feeling persists that the Irish Famine eluded satisfactory representation. Writing the Famine examines literary texts by writers such as William Carleton. Anthony Trollope, James Clarence Mangan, John Mitchel, and Samuel Ferguson, and reveals how they interact with histories, sermons, economic treatises to construct a narrative of the most important and elusive events in Irish history. 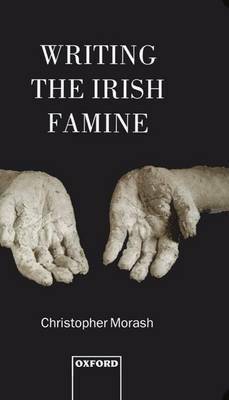 In this strikingly original and compelling contribution to Irish culture studies, Christopher Moras explores the concept of the Famine as a moment of absence. He argues the event constitutes an unspeakable moment in attempts to write the past - a point at which the great Victorian metanarratives of historical change collapse. Aligning itself with new historical literary criticism, Writing the Famine examines the attempts of a wide range of nineteenth-century writing to ensure the memorialization of an event which seems to resist representation.